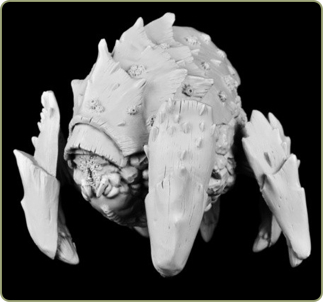 Alien Overlord is our new amazing mini. It fine detailed, huge, multipart model. Set contains 7 parts. Overlord can be assembled in many different positions. This model is about 110mm high and 95mm long. Sculpted by Slawomir Kosciukiewicz.